When did Diggs go down? He got up and motioned first down and looked fine. 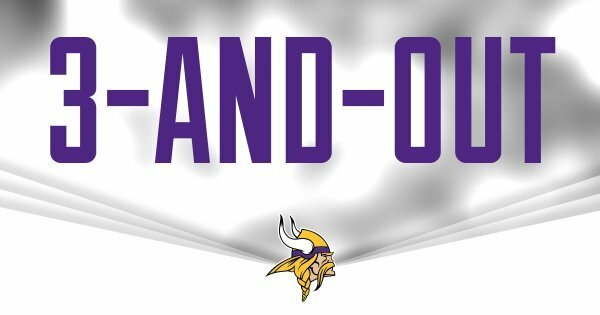 That's a great play by Diggs, a nice job by Bridgewater to hang in there. Anyone else notice 28 was guessing in pass pro again? This has been a terrible American football game in Chicago. The two Vikings games I've covered live this season: Chiefs at home, Bears on the road. What's all the hype over this sport? Stefon Diggs doing big things. @stefon_diggs scores his 2nd career TD on a 40-yard catch. Vikings tie the game with a TD. Bridgewater to Diggs knots this game up at 20-20. Too much time. We will see if the defense shows up? to much time and GOULD for the win.... sorry VIKINGS!!! too much time still for DA BEARS!! One of these weeks, we'll avoid the nail biter. That week isn't this week, though. Here we go... again. But what do I know, I'm an idiot. Bridgewater definitely answered on that drive. Stefon Diggs with at least 5 catches and 80 yards in all 4 of his career games. Has 5 receptions for 91 yards and a TD today. Charles 'in charge' Johnson goes up to get it. Spectacular catch downfield after Bridgewater threw it up into coverage.
.@BlairWalsh3 comes on for a GW 36-yard FG.